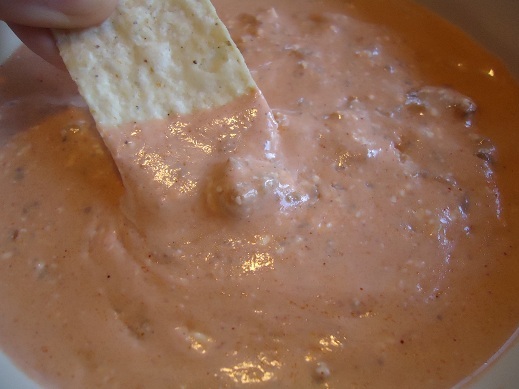 When I think of New Year’s Eve, I think of chip dip. Of course, I also think of playing games, and spending time with friends and loved ones…just so long as none of those dear friends and loved ones get in the way of me and my chip dip. I have been known to greedily reach across serving lines and yank chip dip ladles out of people’s hands before. 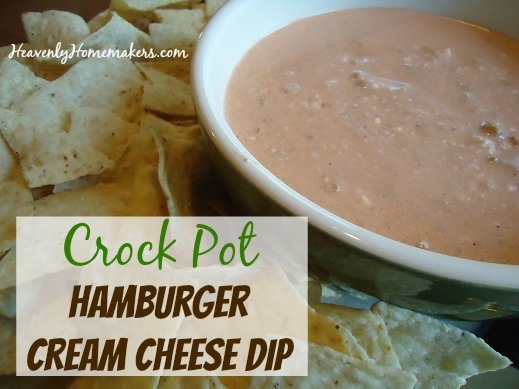 In case you need a tasty and easy chip dip recipe for a gathering this weekend, you may be interested in trying this Hamburger Cream Cheese Dip recipe. And then, you will want to take care and not invite me to your New Year’s Eve gathering. If I see this dip at your table, there’s no telling what I might do. Brown ground beef in a skillet with the onion. 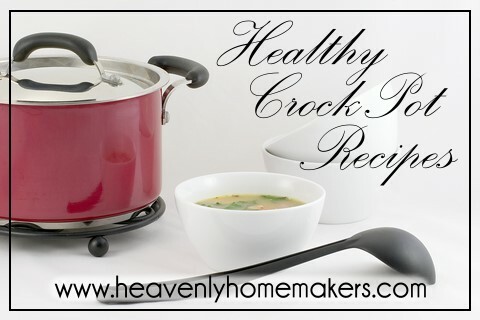 Place cooked meat into a crock pot and add remaining ingredients. Set crock pot on low for two hours. Stir, taste, and add additional seasonings if desired. Serve with tortilla chips. We prefer these organic corn chips. Do you have any exciting New Year’s Eve plans? Except for eating dip, I’m not really sure what we’ve got going on. But then again, I don’t suppose it really matters, just so long as there’s dip. I think I need to join a chip dip support group. I’ve made it on the stovetop twice, and it works great and is much quicker! lol, ok, you have like 5 different cheese dip recipes on your blog now! ;) I might have to try this one too. Oh, you’re funny, the way you write! I really enjoy reading your blog and looking at your recipes. I want to try so many of them! I LOVE chip dip!! Can this be made meatless or does it lose something in the translation? I’m not sure it would be as good without the meat, but you could sure try it. The remaining ingredients would still taste great together, it would simply be a bit runnier. I think it would be good if you added black beans. That would give it some bulk too. Made this with quinoa replacing part of the hamburger and it was excellent. I betcha you could do all quiona and it’d be mighty yummy! I followed the link to the chips you prefer; was that an accidental hyperlink? I was sent to Amazon: Tostitos Organic Blue Corn Chips. With shipping they would be over $10/9 oz bag?!? Or do you buy them from another source? Thank you for pointing that out. We love those blue corn chips, but I think the price went up right after I posted! I changed the link to suggest a different brand that we really like and that is much more reasonable in price! This may have to go to New Years Eve with me! Our family has had the same kid-friendly party going since the early 50’s when my grandparents had too many kids to hire a sitter to watch on New Year’s Eve. 60 years, and one of the best family traditions I know of! So bring on the cheese dip and BINGO! I have an entire menu for New Years that practically revolves around different types of dip! We’ll be having spinach artichoke (my favorite), guacamole, salsa, hummus, homemade ranch and LOTS of things to dip them in. Our New Year’s plans…I’ll set out the party food in the afternoon and we’ll snack and play games with the kids all evening. Boring to some, but I love nights set aside for family fun! You are so funny Laura. I love reading your post. HAPPY NEW YEAR!!! GOD BLESS!!! This is good!! Made my hubby real happy. Our New Year’s Day is full of dips and finger foods and fondue–no sit down meals just trying to figure out how to get the kids watch the Rose Parade with me. Our ALDI has organic blue corn chips. I had to get past the appearance at first. They look like charcoal briquets. This sounds amazing! Does it taste a lot like tomatoes? No, it doesn’t have a very strong tomato taste, I don’t think. I’ve also made this dip using ground pork or turkey sausage. Delish! This looks like a great alternative to the dip my sister makes with a certain well known processed “cheese spread” whatever that means! I’m looking forward to trying it. Laura i don’t know if you have access to a Target but here in Maryland and Pennsylvania our Targets carry great organic corn chips. You can usually catch them no sale 2/$5 and get a coupon even on the internet. They have white and blue too which is nice. Thanks again! what size(s) of crockpot does this fit into? I have a 5 and 7 qt…I’m wondering if the 5 qt is too big. Making it for tonight! Adding black beans. This dip was SO GOOD! A perfect addition to our Super Bowl party. I did make it on the stovetop because I was in a hurry, and it worked fine, but kept it warm in the crock pot throughout the super bowl party. Will be making again. What do you use for cream cheese in this recipe (as well as other recipes you use cream cheese in)…do you use store bought cream cheese, brand? You can make it (http://heavenlyhomemakers.com/make-your-own-yogurt-and-cream-cheese) or use regular store bought. Philadelphia is my favorite brand that is available to me. This is look yummy! I am going to make it for Super Bowl Sunday ~ our Broncos just made it to Super Bowl 2014! That looks yummy. Could you use powdered onion instead? If so , how much. Also, how spicy is it with the chili peppers and chili powder? We are not a very spicy bunch here so I don’t mind adjusting – I just need to know how spicy it is if you follow the recipe. I really enjoy your blog. It is informative, fun, and inspirational.